The Architect and I had planned this as one of the many trips we were going to take together. Instead of which, I was with a friend aka Two Tarts on Tour, making the trip. The TranzAlpine is one of the world’s great train journeys covering 223 kilometres (139 miles) one-way, taking just under 5 hours. We departed from Christchurch at 8 am and sat back to enjoy the ride. Pretty soon, however, we were up on our feet in the observation car taking in the fantastic scenery, the snow topped mountains, the high lakes, and blue water gushing waterfalls. We came across a film crew working for Kiwi Rail. They were taking photos for a new ad and so we were asked to be part of that ad, along, I might say, with other travellers. Soon the journey came to an end and we arrived in Greymouth. We had a tour of the Pancake Rocks booked for that afternoon. Even though it was a sunny and calm afternoon, the Tasman Sea was showing us how fierce it can be. Pancake Rocks? We are told “The Pancake Rocks at Dolomite Point near Punakaiki are a heavily eroded limestone area where the sea bursts through several vertical blowholes. The foundations of the Pancake Rocks were formed 30 million years ago when minute fragments of dead marine creatures and plants landed on the seabed about 2 km below the surface. Read more…..
And Click here to see the walk we took with 2 other people and our very friendly, helpful guide. 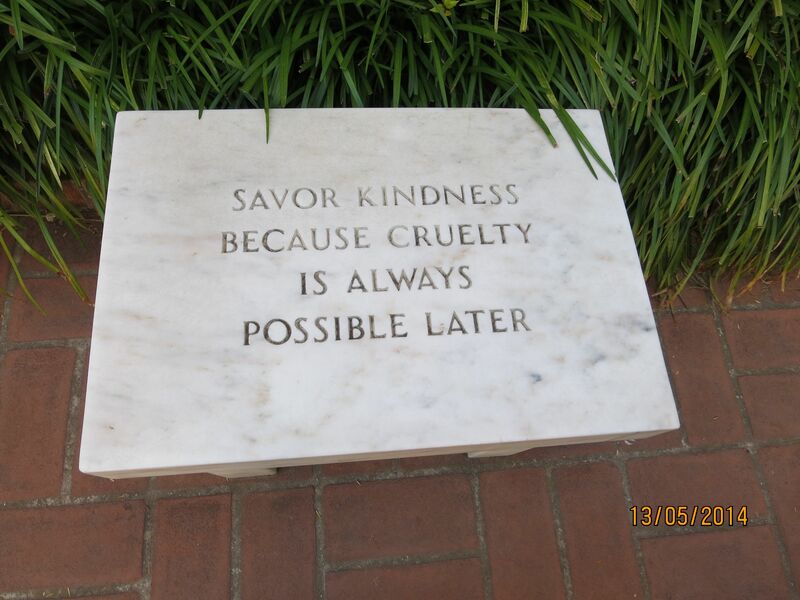 The day before I found this little plaque. So I did as it directed and had a good day. The next afternoon it was back on the train for the journey to Christchurch. We were lucky that the trip over was bright and clear because, on the way back, the rain pounded down and so much of the view was hidden. I found this on Pinterest. I don’t know who Marianne Wilson is but I thank her for this quote and picture. Those of you who know me, know that last year following my big adventure, I ended up at ABI – Acquired Brain Injury. Following a short stay in the Regional Hospital, I transferred to ABI. How lucky I was that there was a bed available to me. And I have written at length about the wonderful service, care and attention I received there. And then as I thought about this, my Attitude of Gratitude really clicked in. So many things for which to be grateful and so I updated my page headed My Gratitude List. Many of the things for which I am thankful, seem to be quite small until I consider those people who don’t have a caring family, group of friends, warm house, money in the bank or whatever. So I shall continue to say thanks for all of them. And then a couple of days ago, one of my sisters of choice (I have 3), Chris at Bridges Burning wrote Today is Mine. I do agree that we can make of this new day what we will. And for me, today the sun shines. I’m looking forward to a few days in Fiji where the sun always shines (or so it seems) and then later in August, a trip down to the South Island of New Zealand to see more of the sights of this beautiful country on a Tranz Alpine Rail Trip. Take a look at the video. So as I sit preparing for my Writing Course this evening, I am very happy with my life and hope that you are too. This week’s challenge from Tara at Thin Spiral Notebook is Adventure. Click on the link to play along. who play along with these challenges. So..
She was about to be 75. Surprised at this, she decided it was time for an adventure. Oh, she had had many adventures, had travelled extensively with her late husband and since his death, on her own. But were those trips real adventures.? She thought not. She decided on Florence. It was a place she had visited before and wanted to spend a few months there. Knowing nobody there and little of the language she packed and set off. Well, once again I have fallen badly behind. My excuse? We have had a very busy time this year and are only now finding time to do the things we enjoy – and I certainly enjoy writing my blog. The year started with a hiss and a roar and I related much of it in a post in April. Then it was off to Europe for three months. What a lot of fun that was. We have friends in Como and made this our base for our travels. Coming back to Como to welcoming friends (and a washing machine) was great. These people have been my partner and his family’s friends for years and so it was with some trepidation that I agreed to go to Como. And I am so glad that I did. They welcomed me with open arms and within a few days I felt one of the family. We enjoyed our time with these people and their family. Three little grandsons were around almost every day and Claudio aged 3 was teaching me English. His constant plea was ‘Storia Judith” Well, of course, it was a picture book but as I know little or no Italian and he knows no English, story reading time was hilarious. He kept correcting me and I don’t know how many times he told me “pompiere” was the word for fireman. “No no” he would say and fall about laughing at my pronunciation. What a joy he was. We had lunch with friends of our host and hostess at a lovely villa on the hills above Lake Como. A dazzlingly beautiful day, great fun although much of the conversation went over our heads. Venice (of course) beckoned as did Tuscany, Spain, France and the UK. Three months is a long time to be away but hardly enough time to do all the things we wanted to do. A visit to Germany to meet our friend’s mother who is 93 years old. A pleasant day indeed. In Switzerland, we had lunch with our hosts’ son who lives in Como and works in Lugano. We spent a couple of weeks in Spain with our hosts and then went on to Barcelona for 9 days on our own. Tuscany, of course, was a delight. We stayed in a lovely converted farmhouse five minutes from San Gimignano for almost a week discovering and rediscovering the countryside and lovely towns and villages. Florence called again and this time we found ourselves in a 15th Century converted farmhouse owned by a delightful young couple and only a ten-minute bus ride from Florence. I have said before that Fiesole is one of my most favourite places in this wonderful world. I waxed lyrical (?) about Fiesole when I stayed in Florence last year. And this year we visited my favourite spots in Florence having somebody to share these things with at last. We came home after our trip to Europe with the prospect of moving house looming. We were still in the brother-in-law’s house but after a few days back here I organised the removal company to deliver the furniture. What a huge job unpacking all that was. Forty-six years of living in one house had my partner moving boxes and boxes and boxes of belongings. My furniture and effects? They were and are, still in storage. Note to self – make a decision about this..soon. But now after three months, we are totally settled into our new abode. My stuff is still in storage and by the way, talking of storage, the arsonist who set fire to the storage facility at the beginning of April has been charged and is currently being tried. Would you believe he has pleaded Not Guilty even though there is CCTV coverage of him entering the facility complete with a petrol can? Well, let’s see the outcome of this trial – what a waste of taxpayers’ money. Think about an event you’ve attended and loved. Your hometown’s annual fair. That life-changing music festival. A conference that shifted your worldview. Imagine you’re told it will be cancelled forever or taken over by an evil corporate force. For several months I didn’t write a post. As John Lennon said “Life is what happens while you are busy making other plans.” But what exciting and fun filled months they were. I did pen a post when I was in Italy. We had been to Venice and were looking forward to going to Spain with our Italian friends who live in Como. We started in Madrid and just happened to be there when the two local soccer teams played each other in the football Champions League semi final. Real Madrid won but we were assured by almost everyone we met that the other team Atletico de Madrid was the better team and should have won. Anyway, the excitement was felt by all even those of us who are not soccer fanatics. I made the mistake of buying a Real Madrid scarf when our guide took us to see the stadium – my son quickly put me right on that score; but my soccer mad grandson graciously accepted the scarf on our return to NZ. Then the next day we went to Toledo a fantastic town built on several levels and dating back to Roman times. We saw mosques, churches and synagogues and were told that the three cultures lived peaceably side by side for many centuries. We wondered aloud what has happened to our world to make this impossible today. Are we all too caught up in ourselves to consider the next person? Is it possible to return to those more peaceful times or is it too late? We went to the Prado museum and saw a wonderful display of modern and ancient art. Here we saw the Hieronymus Bosch “The Garden of Earthly Delights” – truly amazing. This is a tryptich with so much in it that I stood transfixed until my companions called to move me on to the other fantastic paintings housed in the I hadn’t heard of Hieronymus Bosch until I started reading the books by Michael Connelly with Harry Bosch as his protagonist. Good reads by the way. We saw many other paintings including Diego Velázquez’ ‘ “The Family” that I had seen shown in books but here was the original. Obviously, it was so much better than any reproduction I had seen. I now have a mouse pad at the side of the computer showing The Family. After lunch we went to the Thyssen-Bornemisza Museum which is very close to the Prado.. More art. We were told that this was the collection of the Baron’s wife. With over 1,600 paintings the Thyssen-Bornemisza collection was once the second largest private collection in the world after the British Royal Collection. Here was a dazzling display of Old Masters, 14th and 15th centuries Italian, Flemish and Dutch painters, and among other things a collection of North American art from the 18th and 19th centuries. This last we were told is unique in European Art Galleries. We spent several hours there and I could have stayed all day. I wanted to return but we had only a few days in Madrid. We really enjoyed our time in Madrid. The next stop was Seville. We took a boat ride on the river on a lovely spring evening and oohed at the sights. One afternoon we spent several hours wandering around the old part of the city, getting lost and found again. We came across an old market where all sorts of fresh food was on sale and we stopped for coffee and chocolate cake at a very small bar inside the market. The owner came and insisted that my partner try a Spanish wine from a local winery and I had to try Manzanilla (?). Very pleasant half hour was spent there talking with the owner and his son. We went to Cordoba and again marvelled at a town that had been in existence since pre-Roman times. And again we saw how the three cultures managed to live side by side in peace and harmony. Then Granada which has to be my favourite of the cities we had visited in Spain. Of course we had to visit the Alhambra – a 3 hour walking trip that wasn’t nearly long enough to see everything. We managed to get left behind the group as my companion was busy doing what he does on holiday, taking pictures. Never mind we managed to connect with the bus before it took off for the city again. And then when our friends had to go home, we left for Barcelona. But this has to have a post to itself. The buildings, the food, the people all were exceptional. Writing 101: Unlock the Mind. To get started, let’s loosen up. Let’s unlock the mind. Today, take twenty minutes to free write. And don’t think about what you’ll write. Just write. If you have followed me before, or if you have read some of my posts, you will know that for the first two years of blogging I managed to write a blog every day. Then things changed. 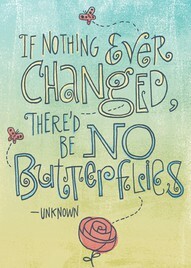 I decided that my life was going nowhere and it was time for a change. So almost overnight it seemed, the house was put on the market and sold, the Beautiful Miss Bella (my companion Toy Poodle) was found a place to stay while I adventured abroad and then, wouldn’t you know it, Fate stepped in. I met an acquaintance from some 30 years ago. His wife had died, my husband had been dead for some 15 years and we started to meet occasionally for coffee, a drink or dinner. The time came for me to head off to Florence where I had arranged to lease an apartment for 3 months with the plan to learn to speak Italian while there. I had sourced a school where the learning was intensive – 6 hours each day, dinner most nights and outings at the weekend – all (or as I understood it most) conducted in Italian. My sister in London was expecting me to come visit her first and it was decided that she would accompany me to Florence for a couple of weeks as I settled into a strange city where I knew no-one and didn’t speak the language. This is where Fate took a hand. 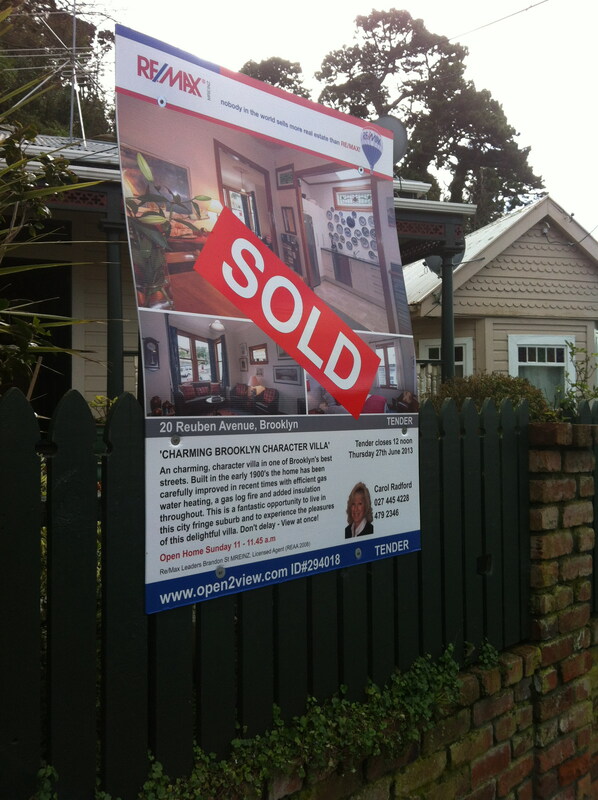 I hadn’t really expected the house to sell so quickly or for the new owners to want possession in a couple of weeks. So that left me homeless and with a few weeks to fill in before my odyssey started, I arranged with a friend to stay with her. But no, here comes Fate again. My re-acquianted (is there such a word) friend suggested that I should go and stay with him for the four weeks before I left for London. This seemed a good idea and so the decision was made. My family was used to my popping off overseas from time to time and only finding out when I would come home again on receipt of an email from a far away place. My new friend was amazed that I was planning a trip to a place I really didn’t know (well I had been there for three days in the past) , on my own, not speaking the language and knowing nobody. He had been married to the same woman for over 40 years and I don’t think they had done much on the spur of the moment preferring instead to plan ahead. So I lived with my friend for the next four weeks and it was all very pleasant. We took the Beautiful Miss Bella to her new home and apart from the first night when I was there she has settled in beautifully. Well what else to expect when she is loved by her new owner. This was to be a shared ownership of the dog but it has devolved into her being with her new owner for keeps. The day dawned when I was to leave and fond farewells were exchanged, together with a promise that my new friend would join me in Florence if and when the house that he was building was sufficiently complete to allow him to leave. Incidentally this never happened. My few weeks in London were great. I revisited all the places of my childhood with my sister but there was a shadow over this – they (the medical fraternity) thought she had a heart attack and refused her permission to fly. So with much trepidation and wondering what I was thinking about – a 75 year old woman taking off into the unknown on her own, I left for Florence. So the house sold on Thursday at tender. Do you have tenders where you live? I ask because my sister in London didn’t understand the tender process. The process is a short, sharp, sweet marketing programme. We had a two week tender, that is two open homes and then the tenders closed four days after the second. The process calls for anybody interested to make their offer on a given date, tender closing date, and then all offers are opened at the same time giving everybody a fair chance. The vendor has the option then to accept one of the offers or none. As you can see from the photo, I chose to accept an offer and it was completely unconditional. In today’s market this is often not the case as people require builders’ reports (particularly as it is an old house), finance to be arranged, etc etc. So lucky lucky me! 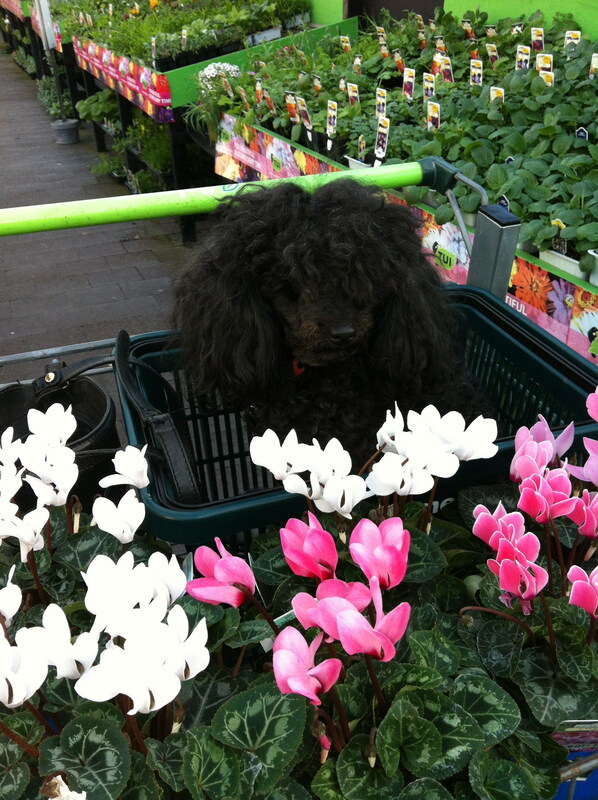 Because it is winter here and subsequently no colour in the garden I went to the garden centre immediately before the first open home and purchased pots and pots of brightly coloured cyclamen. As you can see Bella came too and caused a stir as she sat patiently in the trundler while I wandered around and chose the plants I wanted. Unfortunately, very shortly after they were potted and placed strategically around the garden we had the storm to end all storms and now they are looking very bedraggled. But cyclamen will recover. And now the real excitement begins. I can make plans for my adventure. First Bella has to be taken and introduced and left with her surrogate owner. My friend in Ohakune loves poodles and I just know she will love Bella. If you don’t know where Ohakune is, it’s the centre of skiing in the North Island of New Zealand. I wrote a couple of blogs about a visit there 2 years ago, goodness is it really that long – Mirth and Mayhem and Mirth, Mayhem & Mischief. It’s a magical place and I just know that Bella will love it. And she will love being totally spoiled by her “other mother”. Then the excitement of planning with each of my sisters when I will arrive to visit and even further, planning my next few months in Europe. So I am now off to browse places to stay and that will keep me happily busy for the next few hours on this cold but bright Saturday afternoon. Terry Pratchett (Sir Terence David John “Terry” Pratchett, OBE (born 28 April 1948) English author of fantasy novels. I have been absent from the blogosphere for several weeks recently and I apologise to my faithful followers for this. The reasons have been many but at the top of the list is a decision I have made. I have decided to sell my house and then take several months to travel around Europe, and France in particular. Why now one may ask – well I have always had “itchy feet”. This was pandered to by my husband and his moving around the world during the busy years making a name for himself and a life for us. When he died I spent several years between New Zealand and England where I had been born and raised; eventually deciding to settle down again here in NZ. But here on the other side of the world, we are so far away from everything and I am feeling that if I don’t do something about this restlessness now I never shall. Then a few weeks ago I read a post from Kathryn McCulloch about major changes she and her partner Sara have made. Apart from selling their house and getting married in New York, they have embarked on a new life in Ecuador. How very brave is that! This, of course, set me thinking. Oh sure, they are younger than me and there are two of them, but so what. So I determined to have an adventure of my own. I do have two special sisters, one in Los Angeles and one in London and of course, any odyssey will have to start with them. Added to that my sister in London has agreed to come to France if only for a few days while we/I decide where to spend the next few months. Isn’t that exciting. And I have a very good friend in Paris that I have been threatening to visit so Kay watch this space. And yesterday, to add icing to this cake, I heard that another blogging buddy, Joss at Crowing Crone has put her house on the market and plans to travel to France in September. So I shall have the opportunity to meet with her and her husband IN REAL LIFE! The excitement continues to mount. The house is on the market and the marketing has commenced. 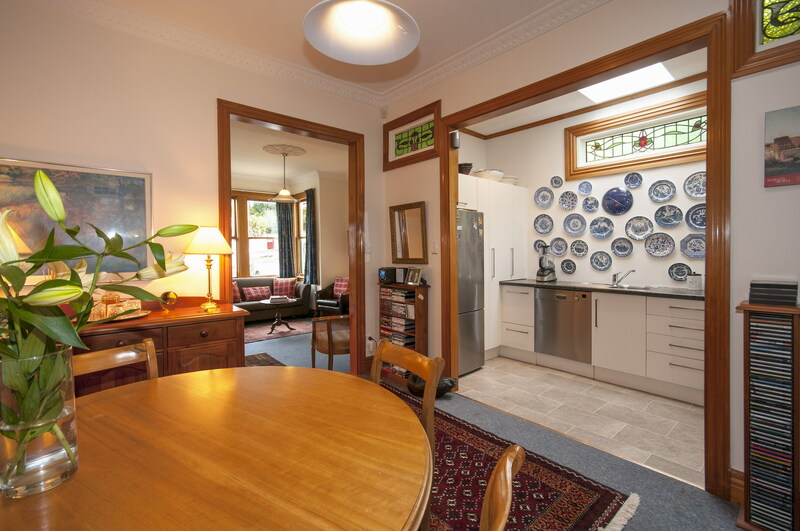 It will be tendered over two weeks with the first Open Home on Sunday. And if the other properties my Real Estate friend has sold over the past couple of months is anything to go by, it should sell easily. Oh, and if you are wondering about the Beautiful Miss Bella – I have a very good friend who will adopt her for the time I am away. I fear though that I might not get her back. So Europe here I come. I will attempt to be in the blogosphere more often now that the decision has been made. “I travel not to go anywhere, but to go. I travel for travel’s sake. I really am a frustrated Real Estate Agent who loves to find different buildings for sale around the world. Several months ago while browsing, or as my sister calls it noodling, around the internet I came across a water tower for sale in the village of Burton Green some 8 miles from Coventry. 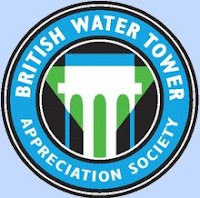 I wrote a blog about it and remembered it today when I came across the British Water Tower Appreciation Society’s blog giving notice of the AGM to be held on Monday 24th September 2012 at 7.30 pm. And again today, I had some time to spare and I browsed around the internet for any other properties of interest, for sale or otherwise. And I came across Caerlaverock Castle. Caerlaverock Castle is a moated triangular castle, built in the 13th century, in the Caerlaverock National Nature Reserve area at the Solway Firth, south of Dumfries in the southwest of Scotland. In the Middle Ages it was owned by the Maxwell family. Today, the castle is in the care of Historic Scotland and is a tourist attraction and popular wedding venue. It is protected as a scheduled monument and as a category A listed building. Butrint’s Triangular Fortress on the bank of the Vivari Channel. Built sometime after 1490, the fort principally served to protect Butrint’s valuable fisheries; however, the fort’s defences span the technologies of arrows and gunpowder. Based on an uncommon design, with only few equivalents throughout medieval Europe, its form may in part have been dictated by the shape of the island upon which it was constructed. Wewelsburg is located in the northeast of Westphalia, Germany, in the village of Wewelsburg in the Alme Valley. The castle has the outline of a triangle (aerial photo). After 1934 it was used by the SS under Heinrich Himmler and was to be expanded to the central SS-cult-site. After 1941 plans were developed to enlarge it to the so-called “Center of the World”. Legend suggests that during the 17th century the castle held thousands of accused witches who were tortured and executed within its walls. Longford Castle is located on the banks of the River Avon south of Salisbury, Wiltshire, England and dates back to the 16th century. The main building had several floors and was triangular with a round tower in each corner; the three towers representing the Father, the Son and the Holy Ghost. There was a chapel, kitchen area, several lounge and sitting rooms, as well as bedrooms. Fresh cold water was pumped to various floors and there were water closets operated with rainwater. And in the grounds were a park, fruit garden and kitchen garden. And this set me off on another tangent that of the remains of the many and varied castles around the UK, and particularly Scotland, but that will have to wait for another day.